Every now and then, we all need to recharge our batteries and the best way for me to do it is to indulge in a spa treatment by the sea. This year, I chose the Dead Sea, the lowest place on Earth, which offers a cornucopia of natural remedies for body and soul. As the legend goes, Cleopatra was a big fan of Dead Sea’s health-giving powers. Finding that a simple dip in the sea left her rejuvenated and renewed, she built the world’s first spas in the area and brought home cases and vases of the Dead Sea salt, water, and black mineral mud to add to her skincare routine. Dead Sea water contains 35 percent minerals per liter of water, more than anywhere else in the world. Local cosmetics industry was born in the 1980s when a spa technician saw tourists scooping Dead Sea mud to take back home. Today, it is a thriving multi-million dollars per year industry in Israel and Jordan. At the same time, the growing popularity of Dead Sea health tourism has been criticized for playing its part in the depletion of the resource itself – due to over-extraction of water, the Dead Sea has been shrinking right before our eyes over the past decades. 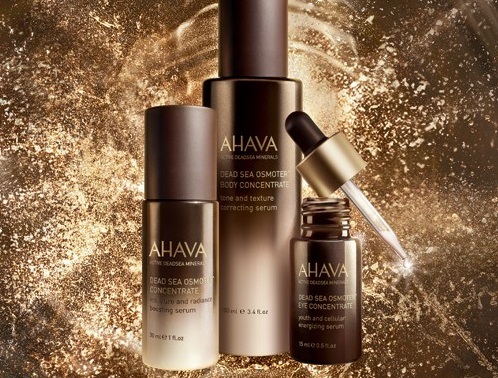 AHAVA (Hebrew for love) is the pioneer of the Dead Sea skincare industry, earning a global reputation for its natural products sold in high-end stores such as Harrods, Nordstrom and Sephora. Since its establishment, AHAVA has worked to protect the delicate environmental balance in the Dead Sea region. Together with conservationists and scientists, the company has developed a nature-inspired process for cleaning contaminated water and returning it to the Sea. 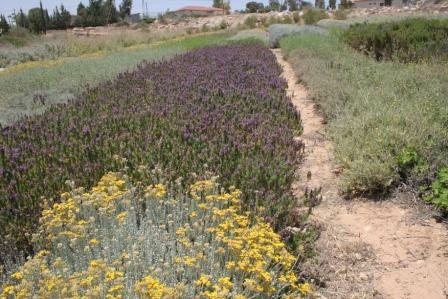 Herbs of Kedem products are organically grown in the unique desert climate between the Dead Sea and the Hebron hills. The company says it works by fair trade laws and organic farming methods, leaving the land rest for a year every seven years. Its products are rich in natural oils and plant extracts, which are used to treat a number of skin conditions – from acne to eczema. The bestseller is Tsukim face-lifting balm, which the company claims has a natural botox-like effect. Premier Dead Sea prides itself on being the skincare brand of distinction: it has received awards for the quality of its products and its business practices. The company abides by responsible sourcing practices, and does not conduct any animal testing. Premier Dead Sea’s cachet is combining the wisdom of nature with state-of-the-art technology. Which might explain the brand’s likewise ‘premier’ prices. After a revitalizing stay at the Dead Sea, my wish for the region is to find its own revival – both ecologically and politically. I have high hopes for this lowest point on the planet.